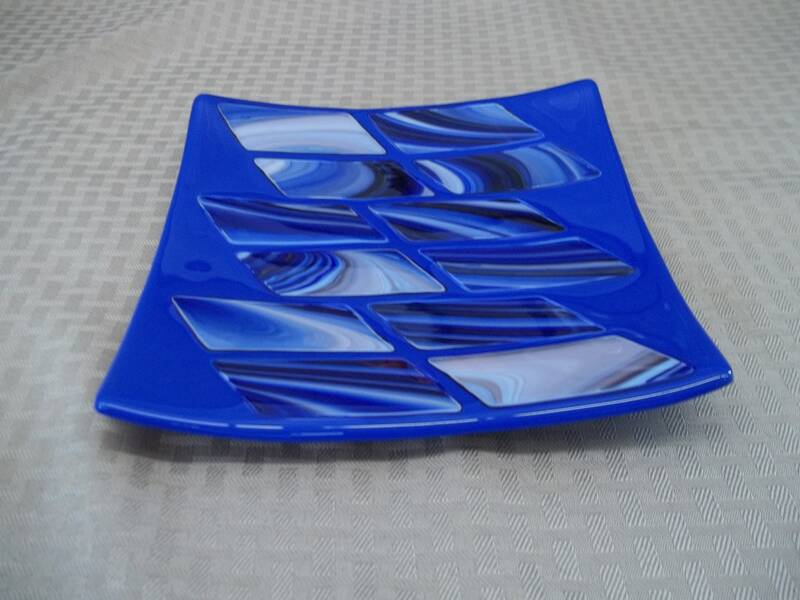 Parallelograms were hand cut from this beautiful blue and white opal glass and used to craft this fused glass sushi dish. 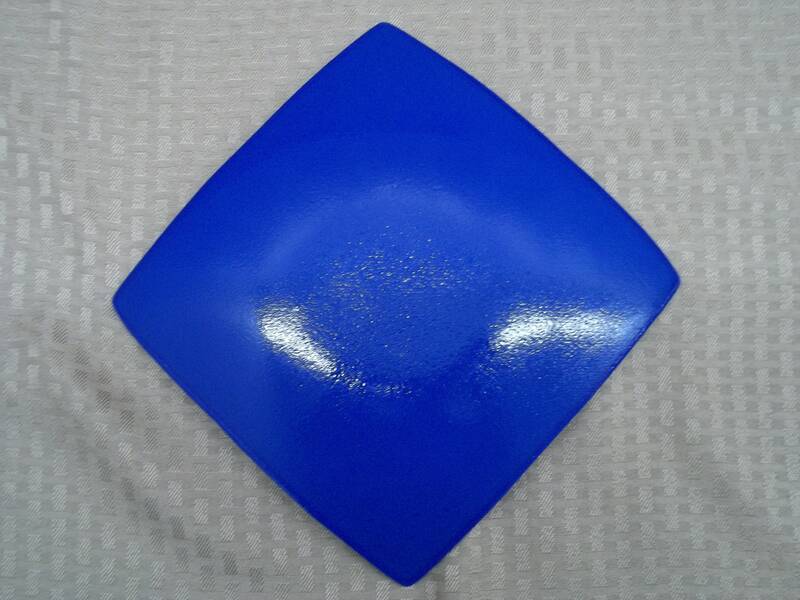 It measures approximately 8"x8", is food safe and can be used for serving or displayed as artwork. 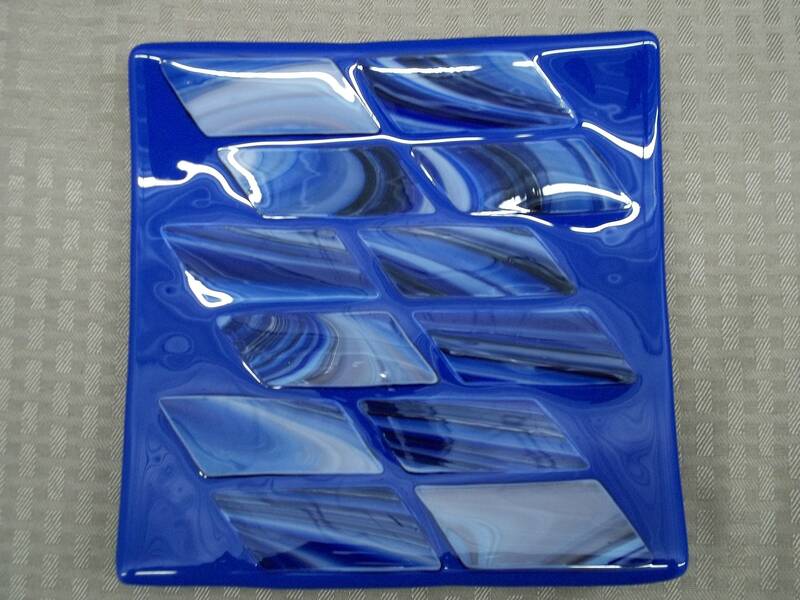 This piece was fired twice, first to fuse all of the glass together to make one piece and then placed in a mold and fired again to obtain its shape. 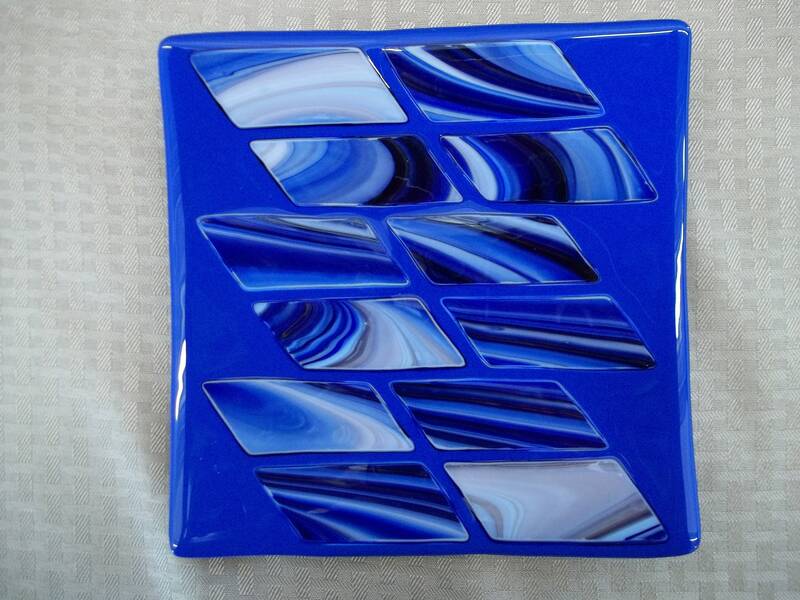 This is a unique, one of a kind piece designed by glass artist Mary Eason. Recommended to hand wash only, do not microwave.